I was born and raised in the Santa Clara Valley in Central California, sixty miles from San Francisco. 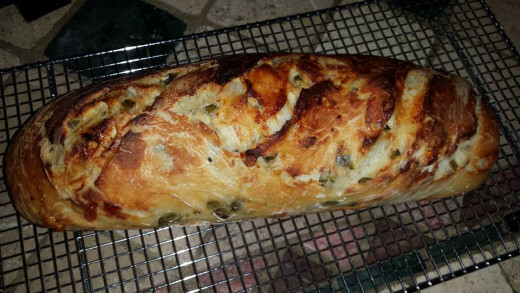 Sourdough was a staple in our house, particularly during weekend BBQs, when Mom would cut a loaf in half, slather it with melted butter, Rosemary and Garlic, and broil until crusted and deep brown. It was heaven, and it is the reason I've always been addicted to sourdough. 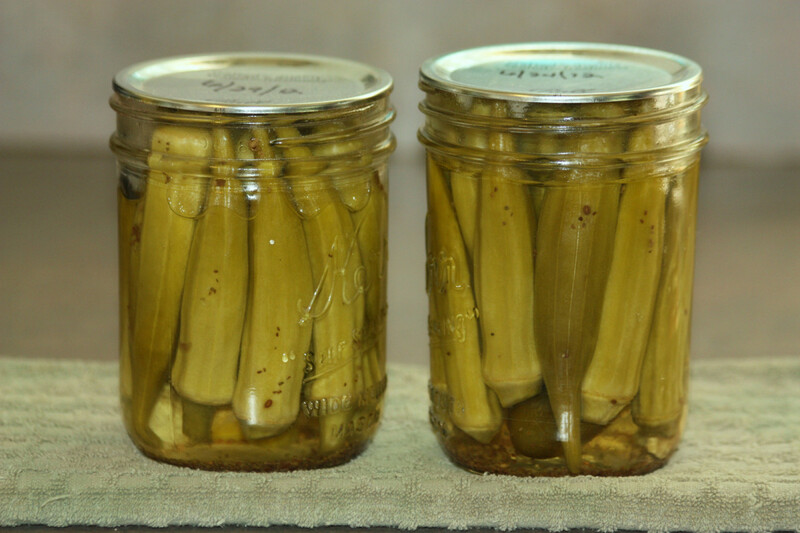 In time, I started experimenting with sourdough cultures - which led to a LOT of kitchen fun! 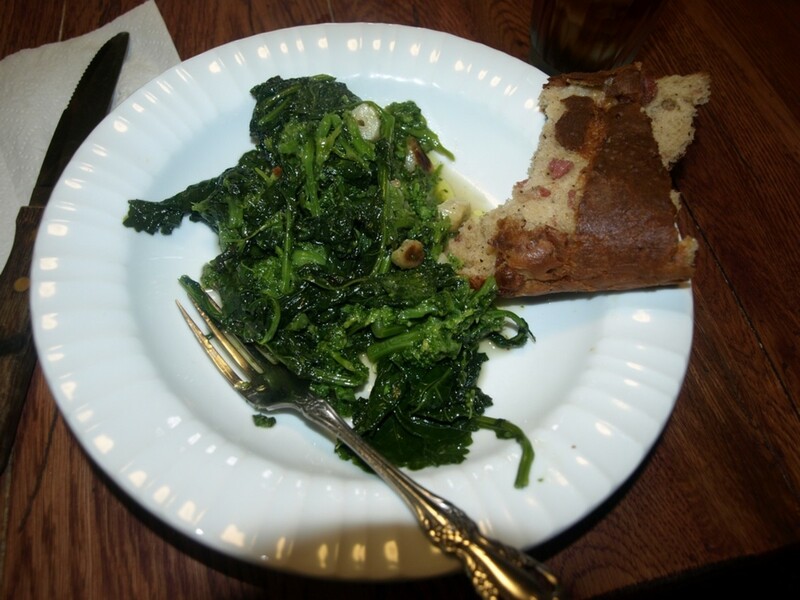 This recipe is one of my favorites. 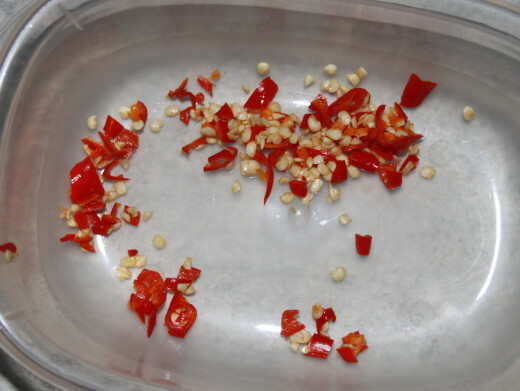 1 Hot Red Pepper, Habanero, Cayenne, etc. Standard iodized salt should not be used when baking with sourdough, as the iodine may harm the Lactobacillus culture which is in symbiotic combination with wild yeasts. 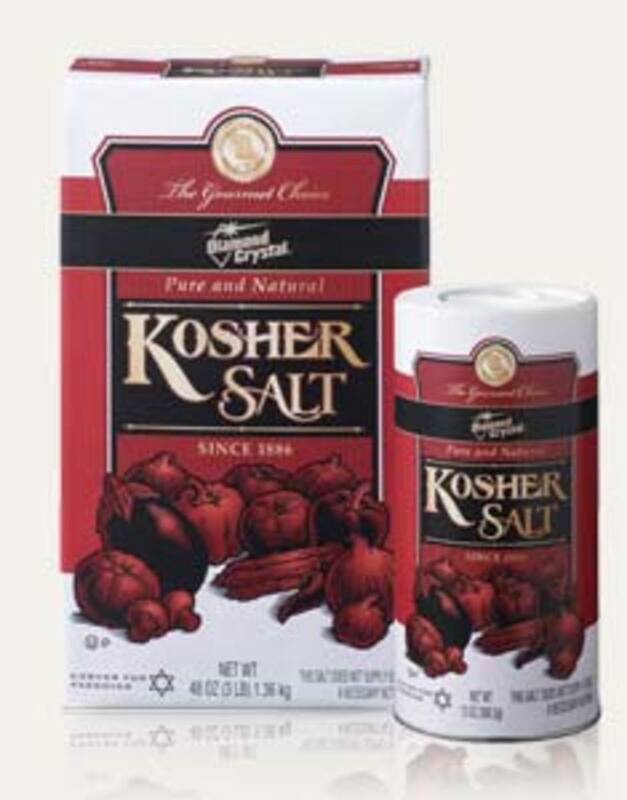 Kosher salt does not contain iodine. The Kosher salt available in my area is comprised of relatively large crystals which are slow to dissolve. I run mine through my home flour mill to produce a fine powder - more like Confectioners' Sugar than salt. If you don't have a mill, you can use a common coffee grinder to break the crystals down. Barring that, put the Kosher salt in one cup of the water to dissolve it before adding the now-salty water to the dough. 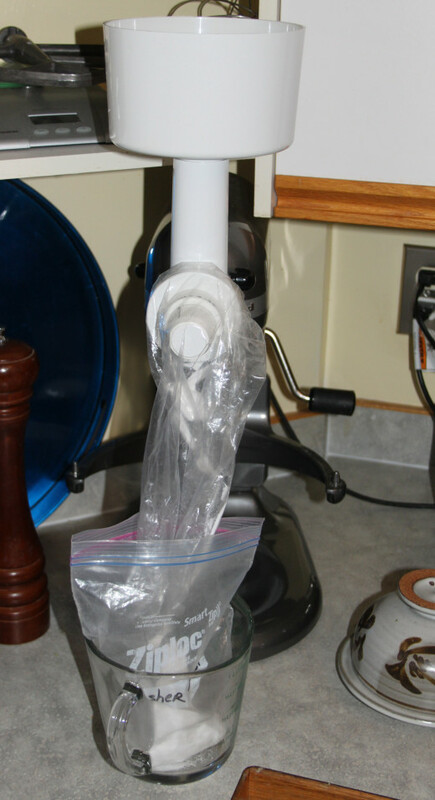 Using a Messerschmidt Family Mill (attached to my Kitchen Aid Stand Mixer) to process large Kosher Salt crystals into powdered form. If you don't have a rig like this, use a common coffee grinder instead, or a mortar and pestle.
" Double, double toil and trouble, Fire burn, and caldron bubble." If your culture isn't bubbling happily, it isn't active, and will produce poor results. I refrigerate my starter to keep it in a dormant state until I'm ready to bake, so Job One is to warm it up by removing it from the fridge and feeding it. 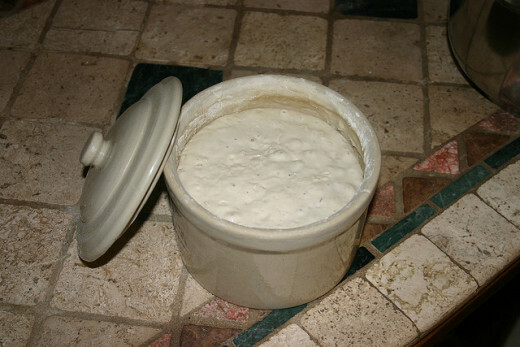 It takes at least 12-18 hours before the culture will be active enough for baking (depending on climate, of course). See Photo One for an example. Add flour and salt together in a mixing bowl. Add 1 cup of water, mix well and allow 5 minutes for the flour to soak it up. Dice up about 1/2 cup of aged Cheddar cheese. By "aged," I don't mean Ancient. I found no benefit in using 5-yr-old premium cheeses instead of the 1-yr-old stuff. Refrigerate the peppers and diced Cheddar for use in the morning. 12 hours later, the dough will have greatly increased in size (see Photo 10). Nudge the dough out of the bowl - a spatula helps - and onto a clean, well-floured surface. Place your Dutch Oven in your stove's oven and heat to 475 degrees. NOTE TO SELF: Ovens vary in their ability to reach that heat, but you should know yours. Have a 475-degree oven ready in one hour. Do I really need to remind you we're about to deal with a very hot chunk of cast iron here? Be careful! 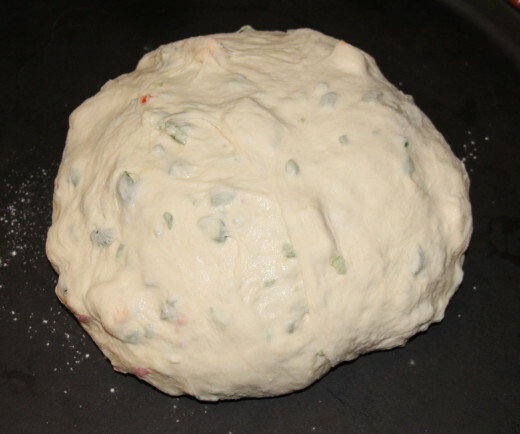 When the dough has proofed an hour and the oven has reached 475 degrees, remove the Dutch Oven from the stove and remove the lid. NOTE TO SELF: Figure out where it's going before grabbing it. Carefully - and quickly - place the rounded loaf into the Dutch Oven. Don't burn yourself in the process. 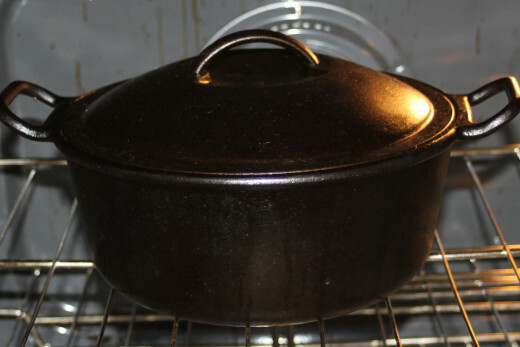 Replace the lid on the Dutch Oven and return it to your stove's oven. 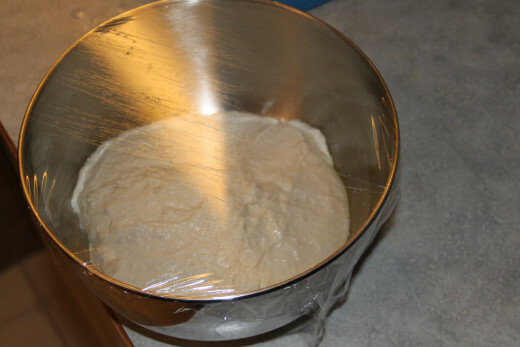 Photo 2: Basic dough, ready to proof. 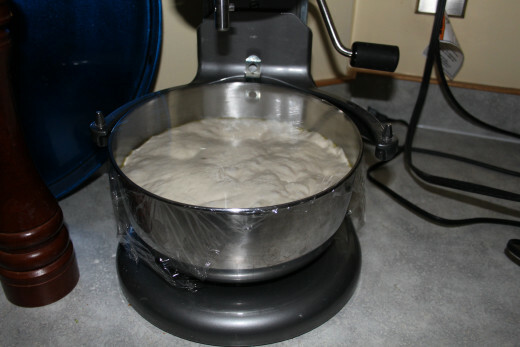 Photo 3: Proofing the dough overnight. 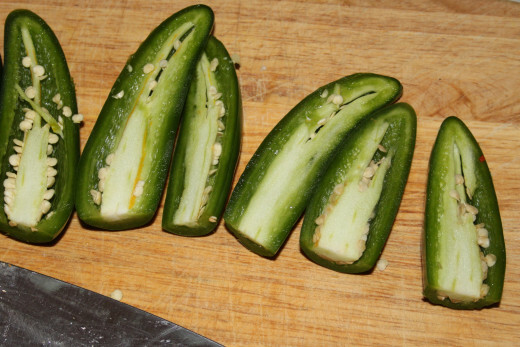 Photo 6: The Jalapenos, cut in half. Note the seeds and pulp - they deliver a lot of heat, and we don't want them. 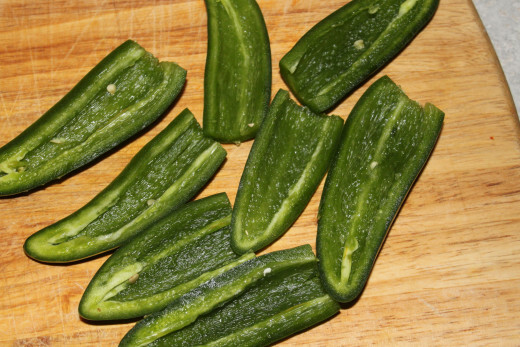 Photo 7: Jalapenos, pulp & seeds removed. 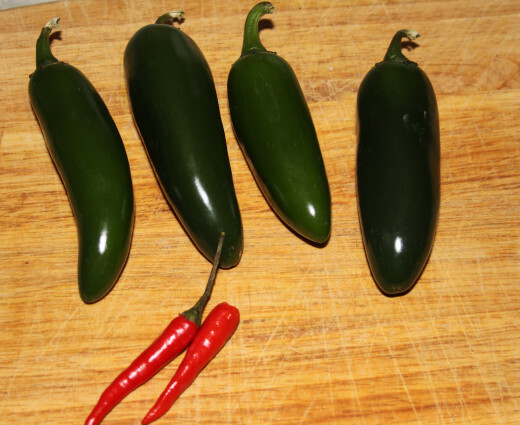 This creates s strong pepper flavor (which I love) with minimal heat. 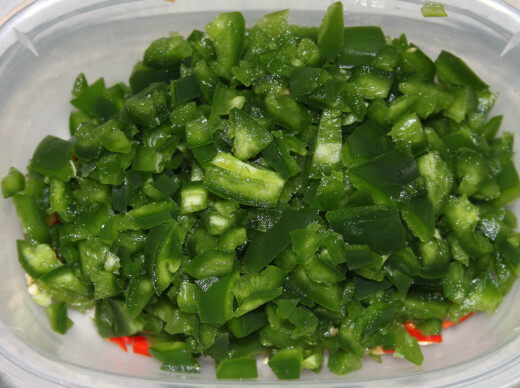 Photo 8: Diced Jalapenos, ready for use. Photo 9: My Lodge Dutch Oven helps produce the crispy, chewy crusts I love by letting me steam the dough by trapping the moisture released by the baking loaf. 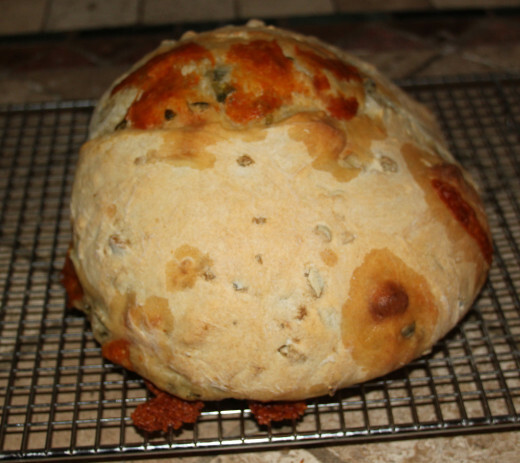 If you do not have a cast iron Dutch oven handy, you can bake this loaf on a cast iron pizza pan like this Lodge. To create the desired crust, place a pie pan (nearly) filled with water on the oven's lowest shelf. This will help provide steam to enhance the crust. I acquired this lovely enameled cast iron pizza pan from an online Canadian kitchen shop. 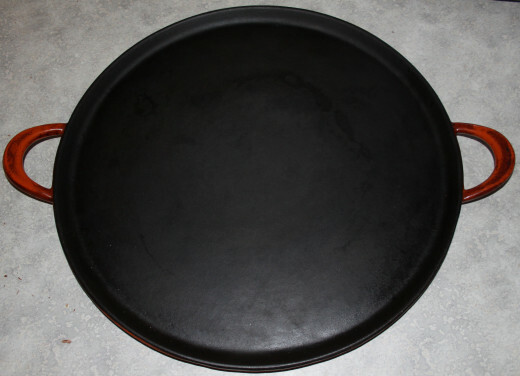 It's perfect for baking sourdoughs, yeast breads, biscuits, cookies or anything else headed for the oven. I love cooking with cast iron! 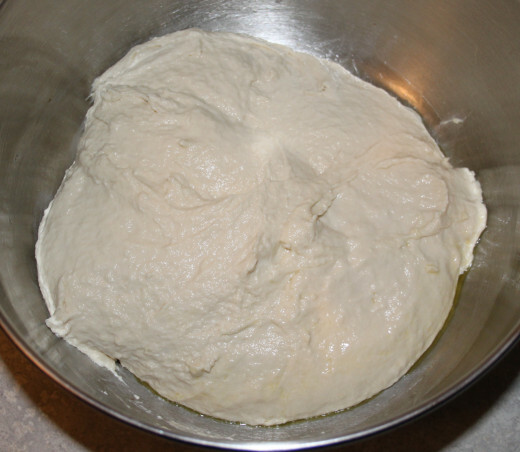 Photo 10: After 12 hours proofing, the size of the dough has more than doubled. At this point, dump it out onto a clean, floured surface (like your kitchen counter). Slowly fold in the peppers and Cheddar until distribution is reasonably even. 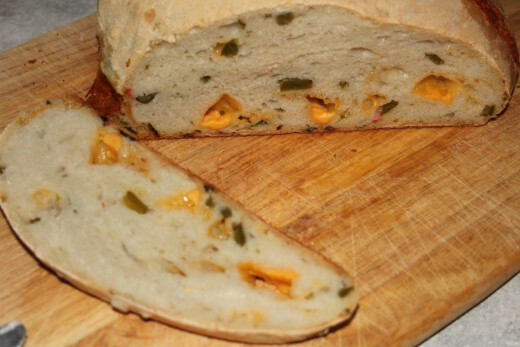 Photo 11: Peppers & Cheddar have been kneaded into the dough, which then rests for another 60 to 90 minutes. Photo 12: Right out of the oven...note the bits of burned cheese...these sometimes stick to the cast iron...but won't if it's well aged. 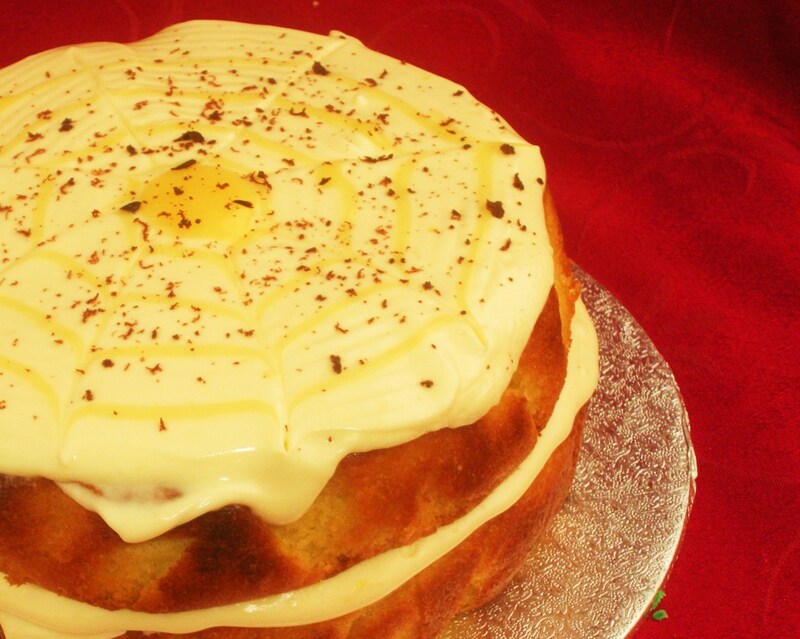 Resist the temptation to indulge, and wait 30 minutes for the loaf to cool. 1. 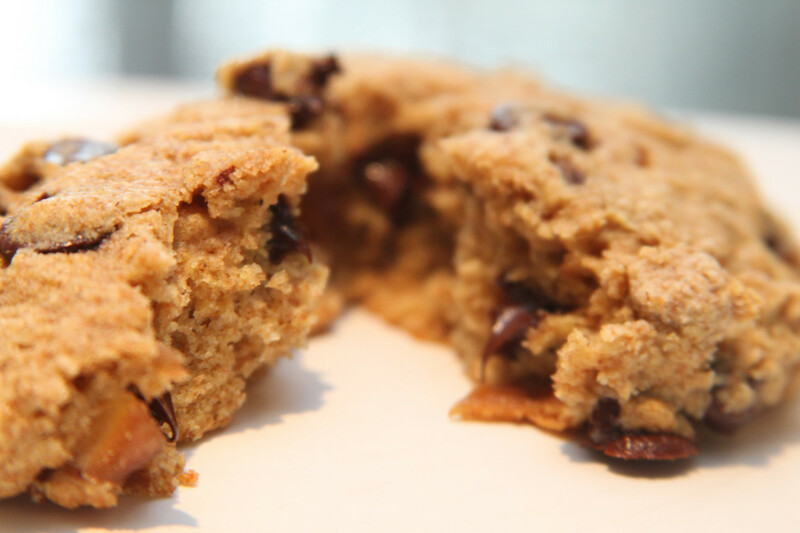 Mix one cup of unbleached white flour and a half-cup of water in a glass bowl. 2. Put the bowl in the back yard (or your kitchen sink, for that matter) and let it sit for 24 hours. If it is bubbling, feed it with another cup of flour and half-cup of water and leave for another 24 hours - let the culture party! 3. If the flour/water goop turns black and ugly, throw it out and try again. If flour-loving racoons get involved, continue the hunt indoors. Want perfect sourdough, every time? You betchum...the trick is in the balance between heat and flavor. It's an awesome combination. You really put chillie into the bread?